I've been rather fortunate so far. I started playing the game right after the Crucible expansion was launched. The Eve I know has always had tier three battle cruisers and such. 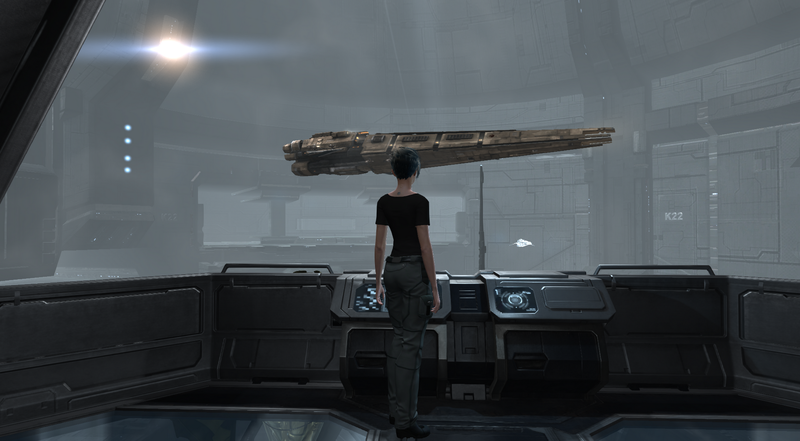 Today, CCP Fozzie released info that an early nerf was coming to drakes and hurricanes. The drake nerf has excited and upset many on both the PvE and PvP. The hurricane nerf comes to the PvP set. To run our canes as we do now with two T2 medium neuts, we will have to down size our guns according to the information that has just been posted. I'll start off with the orphan announcement. In the Attack Cruiser thread we also announced changes to medium gun fittings. We're going to be changing the hurricane at the same time but I wanted that thread to stay dedicated to the specific cruiser balance instead of getting derailed so we're moving that here. Since we planning to reduce the powergrid needs of all medium artillery by 10% across the board, we are also planning to subtract 225 PG from the Hurricane, leaving it with a base powergrid of 1125. The upshot is that fitting a full rack of 720s with a MWD and LSE and full mids and lows will require a RCUII and either an ACR or PG implant. Also fitting a standard shield autocane with neuts and LSE will require dropping a few guns down to 220mm. The hurricane will likely receive significantly more changes when we get to battlecruisers in the balance pass, but this is designed as a compensation for the drop in Arty PG and to help alleviate the problem of Arty ships having so much free PG when they use autocannons. Change always comes. At least Eve is not a game where they wipe everything that you have earned when a change comes. But we will be dismantling our canes and rebuilding them into something new and something effective but a bit different. I'm glad that I am moving into other ships. I've been somewhat locked in my hurricane for the last five months as I learned lots of other things. In no way have I outgrown this ship. However, I have asked it to do everything for me while I frantically built up the skill base to access things to do some of those tasks. Hello everyone! we've got another F&I balance thread for you all, covering tentative plans for missiles in the Winter expansion plus a hurricane fittings nerf that doesn't really need its own thread. The hurricane is an awesome battlecruiser. It will continue to be an awesome battlecruiser. There is always the chance that things will change again. It has to go into testing on the test server and make it into the patch. I suspect that it is as good as a done deal but those that have been around longer will wait for the patch notes. I appreciate the early warning. It is good communication from CCP to the players as to the ways that they are changing the game. Our ship fits are our everything. They make or break the way that we play. The missile nerf is interesting. It is a sideways drake/tengu nerf. Instead of touching their hulls (for now) they are touching their weaponry. I don't know much about missiles or Caldari ships. The changes are pretty painful sounding even to my ignorance. -Affects all variant Heavy missiles, including FOF. Heavy Missiles are the bread and butter of PvP Tengu and Drake (as I understand them). The reductions in damage and distance will be very painful. I'm not qualified to say how it will harm them in a technical sense. I do wonder how it will affect mission runners. Level 4 mission running drakes are a staple for newer players with lower skills. Their ships will still tank the same but it will be even longer and more painful for them to complete the missions. I wonder if it will encourage them to take that step into the mission raven earlier. The cries to nerf drakes and nerf tengus have been loud, long, and persistent. I can understand it. The two ships do things so well that they blot out others with their amazingness. "Drake" and "Tengu" are often the answer to a question, regardless of the question. So far, they are not touching their tanks just their damage and range in their preferred weaponry. I'd love to sound intelligent and comment on what they can do to be awesome still. I can't since I don't know. The percent cuts are huge. Huge enough that I expect there will be some readjustment once they start testing them. For now I will mull the future changes to my favorite and most flown ship. I too share your pain. The cane has always been my favorite ship too, and when fought in one vs one fights with other pilots in other ships with respectable skill points (All V's), has always come down to the wire- hardly befitting of the nerf that is being levied against it. It would've been enough to buff the other ships to compete rather than toning down the magic of the cane, but I suppose it is easiest for balance purposes to nerf one ship than buff 20+ others. Still, I will hold out hope that one day it will return to its' former glory.